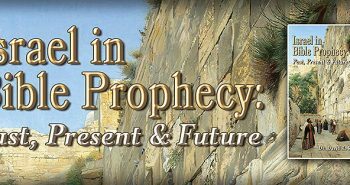 What is the next prophetic event that will happen in the Middle East? Many prophecies concerning that area of the world have recently been fulfilled. For example, the Bible prophesized that in the end times the Jews will be re-gathered from the four corners of the world — an amazing development that occurred in the 20th century and which continues today. The Bible also prophesized that as the results of that regathering, the state of Israel would be reestablished — a momentous event that occurred on May 14, 1948. Jesus himself prophesized that one day the city of Jerusalem would be reoccupied by the Jews, and that event took place on June 7, 1967. Finally, the biblical prophets stated that once the nation of Israel was reestablished all the world would come together against it over the issue of who would control Jerusalem. And that is exactly what is happening today. So, what’s next? Most believe that it will be an invasion of Israel lead by Russia accompanied by a number of Muslim nations. But, Bill Salus, the author of Isralestine, believes otherwise. He thinks the next great prophetic event in the Middle East will be a war between Israel and all the Arab nations that share a common border with it. Where does he get that idea? Who is going to win that war? And what will be the consequences? Bill has been kind enough to be interviewed and answer these questions. Q) Ezekiel 38 and 39 speaks of a great invasion of Israel in the end times. Most people believe this is going to be lead by Russia together with a lot of Muslim nations. And there are some problems with this, because most Bible prophecy scholars until you came on the scene believed that this would be the next major prophetic event. But, the problem is that in Ezekiel 38 and 39 it says over and over that Israel would be living securely. For example, in chapter 38 and in verse 11, “they will be living without walls,” and in verse 14, “they will be living securely.” And that is not the situation in Israel today. And yet people have said, well it is just a relative thing and they are relatively living securely, but they are not. So how could this be the next event when that condition has not been met? A) With all the elbow rubbing and muscle flexing that Russia is doing these days, it does appear as though this would be the next prophecy that would be fulfilled. 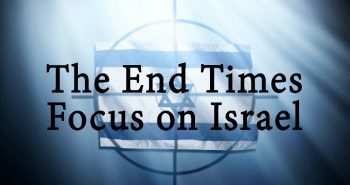 I did an article called: “Psalm 83 Verses Ezekiel 38: Which is the Next Middle East News Headline.” In that article I discussed six to seven reasons as to why Israel is not in that condition yet for Russia to invade. They are now dwelling securely. I have a chapter in the book called “Israel Dwelling Securely,” and the “Yisreal Yasbab Betach.” They are not dwelling securely. They had 4,000 rockets logged at them from Hezbollah and so forth in the summer of 2000. And, they are not dwelling without walls, which is another condition they have to be in. They have a 403 mile wall that at some point they have almost finished completing. At some points it is 20 feet high, all to keep the Palestinian terrorist element out of Israel proper. They are not dwelling in the center of the land. This is the new one I discovered. It says in Ezekiel 38 that Israel is “in the midst of the land” when Russia comes against them. And the Hebrew word is tabbuwr. And we have to wonder what (and that means “center” in the language) portion of land was he really talking about. Was he talking about that portion of land allotted to the Jewish State in 1947 with UN Resolution 181 of the Partition Plan, or was he perhaps talking about the land allotted to the Jewish people in Genesis 15:18 when God promised Abraham that he would give Him land from the river of Egypt to the Euphrates River, which is of course through Syria and Iraq, which would put the center of that land in Jordan. And, as I get into the book and hopefully discuss some of this stuff, I talk about how Israel will annex land and will find themselves in possession of Jordan. They are not dwelling securely. They are not one of the wealthiest nations in the world, nor acquired exceedingly great plunder that Russia also comes after. We are given a hint as to the motive of Russia and the consortia of Russian alliance that comes against Israel. They are coming for exceedingly great plunder. Some suspect that since Israel is drilling for oils these days with Zion Oil that they will come into a new found wealth of oil under their own soil. And they might. And there a lot of Zion Oil, prophetic oils out there. They tie in connecting passages of the Old Testament where they believe that it is foretold that Israel will find oil. However, I don’t think it will be limited to that. I believe that it will be the exploitation of their resources, as Israel expands and conquers over Psalm 83 Arab nations. Q) Ezekiel 38 and 39 doesn’t mention any of the Arab nations that have a common border as being part of the invasion. Why aren’t they there? How how does Psalm 83 answer this question? A) It is intriguing that Israel’s most observable opponents over the last 60 years since the restoration of the nation are not enlisted in the Ezekiel 38 nine member consortia of nations. This has puzzled the scholar alot recently. These are the very nations that border Israel through which the Russian invasion would be trespassing into to get into Israel to invade. So, why are they now listed? And, of course, what we are referring to are Lebanon, Syria, Jordan, Saudi Arabia, Egypt, and what has evolved out of those entities are Hezbollah, Hamas, Palestinians, and other terrorist entities could be included in that list. Three-thousand years ago, oddly enough, a prophecy that has not found its final fulfillment — Psalm 83 — issued by Asaph the Seer, enlist all of these specific populations that we are talking about. There are ten of them in total. In my book I have gone through and traced who they are because when Asaph wrote this prophecy he was speaking in vernacular of his time. He was talking about the Edomites and Philistians and Tyrians from Tyre. Who could he have been talking about? It turns out he appears to have been talking about the Palestinian refugees — the Hamas, the Hezbollah. He talks about Assyria which would encompass Syria and part of Northern Iraq. He talks about the Hagarines which Dr. Arnold Fruchtenbaum and myself subscribe to being Hagar the matriarch of Egypt. She mothered Ishmael for Abraham, so we look at them as the Egyptians. Ismaelites, we look at them as the Saudi Arabians. Thoughout the book I weave in these connections of who these people are through the research I have done. And they are absent from the Ezekiel 38 invasion. Q) Psalm 83 is a war that is going to be fought before the war in Ezekiel 38 and 39? And, it will be a war in which Israel will defeat all of these Arab nations that have a common border with it? A) Yes. Israel will expand into that territory, and therefore that is the reason they are not mentioned in the Russian invasion. This is my hypotheses. That solves the problem, too, of Israel having peace, and it also solves the problem of Israel moving into the center of the land, “midst of the land.” It also solves the problem of them being exceedingly wealthy because they will be able to exploit their resources. I believe that it will be a safer Israel. More alilyah will come forward. More Jews will come into Israel. They will exploit the resources and expand the territory. And they will become that ripe carrot on the string that Russian and Iran will lick their chops to come after for that exceedingly great plunder. Q) It never says in the Psalm who wins this war, so how do you know the Israelis win this war? A) Well, there are several reasons for that. The very basic starting one theologically is that God promised Abraham he would have descendants forever and those would be the Jewish people. What we are talking about is probably nothing less or nothing short of a genocidal attempt against the Jewish people by the Arab Nations that we talked about — those ten populations. God is a promise keeper, and He will not allow the Jewish people to be destroyed. Hitler was unsuccessful and, of course, there was a litany of attempts. In fact, in Amos he says, I will put you in that land and you will never be rooted up again. If God keeps his promise to Israel, which we know he will, then the Jews will win. What connected this for me is Ezekiel 37:10. Many people, Dr. Arnold Fruchtenbaum and myself included, believe that Ezekiel was transported in Ezekiel 37 some 2,600 years ago into the 1940’s where he saw the vision of the Valley of Dry Bones. And this represented the Jewish people in the Diaspora in a devastating grave/holocaust condition. Then God even asks Ezekiel “can these bones live?” Ezekiel says, “God you know.” What a profound question that turns out to be because if they don’t survive the very thing we are talking about God will have broken His promise to Abraham. Q) About the time that you were getting this insight from the Lord, wasn’t something discovered in Ireland? A) Yes, I believe it was July of 2006 an engineer was digging up some Irish bog soil and he found under the soil almost unblemished a parchment opened up specifically to Psalm 83. Q) Traditionally, Bible prophecy teachers have said that peace would come to Israel only when the Antichrist made a covenant with them that would guarantee their security. Now you are saying the Israelis are going to defeat all of their Arab neighbors around them, occupy their territory, have peace and become a world superpower. And, they don’t need an Antichrist to guarantee their peace. So what is the Antichrist’s coming all about? A) Exactly! The traditional viewpoint that has been taught for the last 60 years has come from the limited lenses of a lesser Israel, in my estimation. Ehud Olmert said in September 14 that the notion of a greater Israel has expired and then on the 19th, Mahmoud Ahmadinejad said the idea of the lesser Israel is about to be expired. I am paraphrasing his verbiage. But the way I look at it, I look through the lenses of a greater Israel. Israel is going to expand. They are going to come out of this little 9,000 square box that they were allotted with UN resolution of 1947 — the Partition Plan. As a result of the Psalm 83 war, they are going to become an exceedingly great army. They are going to posses not only their arsenal, but they will have the opportunity to posses some Arab arsenal as well. They will be very powerful. I then say like a Goliath shadow coming in behind then comes Ezekiel 38 and 39. When Russia comes after Psalm 83, these nations and in the process God exhibits His power and He defeats that invasion. The purpose of the Israeli Defense Forces is only to deal with Psalm 83. They are not even necessary in Ezekiel 38 and 39 apart from perhaps burying the dead and burning some weapons and things like that in the aftermath. God destroys them, so what we have, and I put these events Pre-tribulational, I put the Antichrist coming into the scene in the aftermath of both of these power genocidal attempts against the Jewish people. So we have to be looking at this when we try to understand the contents of the Antichrist pact with Israel. We have to be looking through the lenses of a greater Israel in my estimation. The Israeli Defense Forces have exhibited their might, achieved the title and fulfilled prophecy being the great army. God will have accomplished His purposes which say the Jewish people will recognize He is God and the nations of the world will recognize that He is God. And so that is the stage when the Antichrist comes on the scene in light of the fact of these two facts could precurse the Tribulation period. Isaiah 28 says that this Daniel 9:27 covenant becomes a covenant with death — an agreement with Sheol — and it is a picture if you read Isaiah 28 of the Jewish people in a very empowered condition. They are intoxicated with their empowerment all the way from Ephraim on through to the priests, prophets, even the people that fight back at the gate. I presume that would be the exceedingly great army. They are all intoxicated with this power. So it says that when they sign this covenant in Isaiah 28:15 and 18, they are expecting that an overflowing scourge that will be coming and that they will escape that scourge. So we have to ask what is this overflowing scourge that they could be referring to? Could it be the 144,000 witnesses that have been running around talking about the Lord’s coming? Revelation judgments could be forthcoming. Could it be the gentile nations of the world are going to war and Israel is concerned about that? We have already talked about Psalm 83 occurring and Ezekiel 38 occurring. I don’t necessarily see another war apart from the Armageddon campaign after that, although there may be some. Could that be the scourge they are worried about and they want peace from that? The traditional viewpoint has been that it is a peace between the Arabs and the Jews, or a protection for Israel from the world in general. But, I look at it in a different way. Perhaps it a protection from the world of an empowered Israel on some level. So then, it goes on to say in Isaiah 28:18 that this covenant will be annulled and that this scourge will pass through. Now we do also know that in the Armageddon campaign the Antichrist is going to come forward and he is going to try to destroy the Jews. In Zechariah 13:8 it talks about two-thirds of them being cut off and being destroyed. So this could be the scourge as well. Their thinking by signing some covenant with this individual that some overflowing scourge is not going to come their way. And, of course, God says that is going to annulled, and it does say in Isaiah 28 verse 22 a little further down that God is determined an end for the whole world. So it could very well be the Day of the Lord — the Day of Jacob’s trouble — things along those lines. I don’t know if they feel they can escape that, and again I am conjecturing. I think that it is a milestone to consider the possibility that it is not a peace pact between the Palestinians and the Israelis, but it is something much bigger and much broader. Thank you, Bill, for sharing this new prophetic insight and explaining it to us! Next PostShould A Christian Be A Mason? That is alot to happen soon, for those of us that feel a spring 2009 rapture will occur. Isreael has won a war in 6 days before. Dr. Reagan, can this Psalm 83 war happen after the rapture? Certainly, Spoely. Jesus’ return in imminent, meaning the Rapture could occur at any time without any other event preceeding it. i dont know about Dr. Reagan but Nathan jones has stated this happens after the rapture. for a detailed explanation look at his articles “the timing of Gog/Magog. there is NO evidence of a spring 2009 rapture occuring specially since spring is nearly over and summer is coming. a spring 2009 rapture would be nice however. we know the season but not the specific timing. Using Mr. Salus’ reasoning (with which I agree), the 7 year treaty could be for something other than protecting Israel. If Israel controls Jordan, Syria, Saudi Arabia, etc., then it could be an economic treaty since Israel will then control a large part of the world’s oil supply. Maybe allowing Israel’s entry into the future Roman Empire? Like most people, I have never thought of it in that way. Hartdawg, I think we do have clue as to when an invasion would take place. The Qu’ran states that Muslims should attack their foes at the end of the holy months, one of which is Ramadan al Mubarak, which varies from year to year, and this year coincides with Rosh Hoshanah. Not to say that this is the year Psalm 83 would occur, but the Muslims have been know to start stuff duing Jewish holidays. i agree it will be allowing isreals entry in the not too distant future roman empire since hthe roman empire controlled isreal in Jesus’ day. is it likely there will be a two-state solution BEFORE the psalm 83 war breaks out? i would really like to know? I don’t think there will ever be a two-state solution as that would involve the dis-solution of Israel which God said would never happen again. The fact that Netanyahu rejects the Roadmap to no Peace may be one of the things that precipitates this coming military action. What the Arabs can’t get by fair, they will [try to] get by foul. thunder, there are many who would disagree with you. (i dont) they site john measuring the temple but leaving the outer court and joels pronouncement of ‘dividing up my land” as proof. with all the pressure isreal is under this battle is bound ti happen soon. another point they would make is it compares psalm 83 with Gideons 300 man army. the indication is isreal is so puny as would be the case if there is a two-state solution. hart, I think I understand what you’re saying, but Israel is far from Gideon’s 300-man army. Today Israel has, I think, the 4th largest army on earth, and probably the best trained and armed. I don’t think it’s far-fetched to believe that the IDF could take the surrounding nations. Just look at what the Israeli’s did in 1948 during the independence war. They had virtually no army, outdated weapons, an air force without true warbirds, and indefensible lines. And they won. God gave them an incredible victory over the Islamic agressors. He did it again in 1967 when they took Jerusalem. And the Yom Kippur War. And I think He’s going to do it again on a much greater scale. During these actions there were actual miracles (whether the Israelis want to believe it or not) during combat. Tanks moved past enemy positions without being seen. One tank held off several enemy tanks. Not one Egyptian MiG was launched against the Israeli Air Force. The Hand of God is still protecting His people and He will bring them victory. I think these current “failures” of the Israeli military were given by God to embolden the terrorist armies to attack Israel so that God can bring judgment on them. i agree. i’m simply noting that the psalmist makes a comparison. 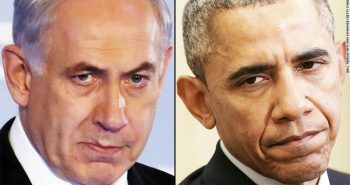 personally i get a sense of satisfaction when benjamin netanyahu openly defies obama by refusing to give up land. i wish there was a way christians could write to the isreali government and encourage them not to give up land. Hartdawg, I’m sure we can. I would guess you could Google Israeli government offices and find out. For many years this cradle catholic has wondered where on earth the idea of a rapture of good people came from. In my quest for scriptural references to it all I could ever find was mention of 'the wicked' being plucked from the earth 1st of all! Being included in this rapture doesn't sound like something I'd be interested in I think. Hi – great commentary/analysis on these coming events. I have a website dedicated to the Ezekiel 38-39 scenario that you and your readers might find helpful. Christians there is no rapture for you to believe God left all christians except two on this earth to witness their tribulations in front of the devil as he did the day of the cross, his blood was shed for all of us and he expects nothing less for us and his children! I say this not drive a wedge but to build a bridge, please show me in the bible in aramaic, greek, latin, or hebrew, or in english where he will raise anyone out of the final six trump tribulation? 1335 days of daniel is 22 march 2013, 6000 years of history divided by 120 jubilee years which is 50 each minus 45 days of wedding feast preparation for our Lord and anyone can see clearly we are in the days of the last generation which as always been 70 years in the Bible! Read the Bible for God told us all things only the christians will understand for the beast and his army cares not for God's message! Often, the Psalm 83 prophecy is overlooked or linked to Gog-Magog. Looking at currenct evens, with the warships in the waters off Syria, the rockets fired from Lebanon into Israel, the warnings of Russia, and the "success" of Arab Spring, it is not unlikely that an Arab invasion will occur very soon. The nations in the Middle are now preparing for war. We can't overlook the Burden of Damascus from Is. 17. Damascus will be quickly destroyed in an evening setting. If the attacked into Israel continue, and Mossaud has intelligence that justifies it, they will launch a pre-emptive strike and there is no good reason Damascus won't be a target. Israel must survice, for she is present in all yet future prophecy, so it could be an Arab defeat in the setting of Ps. 83 that moves Gog-Magog forward, and that would give Antichrist a reason to treaty with Israel. Recent efforts in Israel by the Temple Institute has found evidence that the Holy of Holies is located to the North of the Mosque of Omar, so it can stand while a new temple is built. Animal sacrifice would begin first, and the ashes of the Red Heifer would have to purify all involved in that effort. We don't know how far along the Ten Horn kingdom of Antichrist will be when he steps into power; however since July 1, 2011, the EU consolidated all voting power into the main nations, a group numbering 10 and known in the EU as the Big Ten. We as humans have a mental image of how these events will form up, but God's in charge, and He will do all things well, and as He has planned them from the foundations of the world. It's a exciting time to be alive, and we must keep our eyes on Israel, the most important element in all of the events of the last days. I lived in Israel for 5 years. This idea that Psalm 83 is about a war that has never happened is driving me crazy. It says specifically that this list of peoples is aligned against Israel and calling for their destruction, not that they gather their forces and line up and attack. These people have been aligned against Israel since it was founded in 1948 and before. Thinking that Saudi Arabia isn't aligned against Israel is crazy (they just hate the Shiites more right now). You can't even enter Saudi if you have an Israeli stamp on your passport. Also, the surname that is the most common for Israeli Arabs is guess what – "Saud." That means that the largest single block of Israeli Arabs are descendants of Ishmael. Israeli Arabs are the "Palesinians" with Israeli passports. The ones that stayed inside the borders of the land of Israel today. Not sure if peoples called "Palestinian" right now share that surname as the most common, but I am sure some of them do. The majority of the "Palestinians" today were workers who came from Egypt, Saudi, and elsewhere when the British started building around there after they got the area in 1917. You can look at Mark Twain's old writings and see that the numbers don't add up for an indigenous people called the "Palestinians" from that area, nor do anywhere near most of them have lineages that go back to the Biblical Philistines. Today's "Palestinians" are a people group that were locked out of their countries of origin to try to make Israel look bad and because they didn't want those poor people back. Not saying a war couldn't happen that contains all of Israel's neighbors, but it doesn't have to. Everything in that Psalm has been fulfilled and is being fulfilled in the news today. Ever seen how many UN resolutions have been drafted against Israel by nations where the Psalm 83 people groups live today? It is crazy. Sorry, I just had to let somebody know these details. So in summary between the Palestinians themselves (which probably contain every people group listed without looking further) and the general vitriol of the surrounding nations over the past years, Psalm 83 is fulfilled without a further war necessary. I have seen this idea growing and just had to put voice to the problem I see with it. Thanks. i am overjoyed that after years of saying almost verbatum this exact timeline in God's prophetic dealings with Israel.i even stated so to this very site last year.i became a believer in Christ in 1972,after reading late great planet earth by hal lindsey i said ,wait a minute,the math just does not compute.iam am not good at math but 2 and 2 still make 4.i became a seeker of Gods promises to the Jews and to us the grafted in gentiles.i have showed such a hunger for Gods word ,my wife says He(GOD) is just blessing you,because you ask and study.i do not believe the rapture will happen before this regional war (MY opinion only) because the church has become so apostate,its actually in a coma.God is going to do do a mighty shaking folks.there will be more that fall away (COMING PERSECUTION)and there will also be a large wave of repenting pew sitters.i do believe the rapture takes place before ezekiel 38/39 but definitely before antichrist is revealed.READ THE BOOK! !its (B_asic I-nstructions B-efore L-eaving E-arth! )wow what a concept people in america that actually read GODS word.you would be appalled at the apostasy where i live.church after church (COMATOSE>as a watchman on the wall iam not well recieved and the very people who are to love me a brother,give me some mighty hateful looks.remember folks Jesus himself stated in math.only those who do the will of MY FATHER will enter Heaven.i dont care how many times you recieved Jesus in your mind ,if he is not in your heart your not going.you give me scriptures where it says call on the name of the lord,in no way will i cast ,ect nand i'll show you scriptures that have to be followed up by in our Christian walk.in the last 100 years we have been given a false bill of goods.false teachers,so called new prophecy gargabe.its all right here in Gods word. 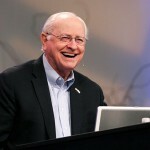 Am I the only one who has several issues with each Prophecy I hear from self-proclaimed Prophecy Experts. I think it wonderful that individuals are looking into prophecies but become a bit concerned when they claim divine insight from God that no one else seems to have. I have serious issues with several popular Prophecy claims. 1. I agree that the Magog war will not be next. Israel does not live in safety. In addition, God declares that when he defeats Magog's armies, that… the House of Israel shall know that I am the Lord their God from that day forward. Ezekiel 39:22. How then will Israel decide to make a covenant with the Anti Christ? If the house of Israel is defended by God, and from that day forward, knows that they are His, why would they turn to the central figure against God? What… will they now know they are God's and so, God then allows the Anti Christ, to come and massacre two thirds of them in Jerusalem. Each time I hear an explanation for this, the wisdom spoken appears more man’s guess work, than God’s answer. 2. With the Psalm 83 predictions now popular, I believe there is very good credibility to a war as stated. But doubt Israel taking over countries named in Psalms 83. Defeating them yes. Annihilating Damascus, yes. But taking them over, I do not believe so. Ezekiel suggests that certain countries, named both in Ezekiel as avoiding the Magog Invasion, and in Psalms 83 as in a war with Israel, are countries in their own right, not a part of an expanded Israeli Nation. Ezekiel does not state that these areas, previously independent countries, are now owned and dominated by Israel. The scripture clearly names them as countries escaping the Magog forces. Israeli’s must flee Israel. These countries hold their own by divine providence. 3. The Magog war does not state that it is a war of religion. It clearly claims to be an economic war for goods. So a Muslim Confederation led by or backed by Russia, as the Magog war, to destroy Israel, to me, appears false. If I were to fathom a guess, I would venture to say that A. The Psalm 83 will involve all the countries stated within the Psalms 83, because scripture is accurate. I believe this could be the next war. In addition, because this Psalm underlines Iran's President's own words, that Israel must be wiped off the map, that it is Iran, who will be the strong arm that will aid these countries in their attack. This will be an Islamic invasion. Israel will suffer heavy losses, but God will allow them courage and fighting power that overcomes their adversaries. They will devastate the Islamic armies. When the war is over, Islam will suffer immensely and fall as a dynamic power. Claiming divine inspiration from Allah, the world will watch as Allah becomes nothing more than another dark blot in history. It is then, with Islam defeated, and discredited, that Israel will be able to reclaim the Temple Mount (No Islamic power will be around to stop them.) They will then rebuild the third Temple, and their immediate neighbors, who's land, for the most part, Israel does not claim, except for Gaza and the West Bank and possibly a few additions along their border with Syria, will join in a partnership with Israel. After Damascus is destroyed, Israel’s neighbors will want Israel as an ally not an enemy. What about the Magog War? Good question that I cannot answer. 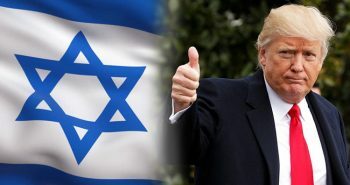 But the Islamic defeat by Israel will pave the way for the rise of the European Power Machine and the Anti Christ, who could then temper their voices against Israel, based on Israels defeat over Islam and Israeli power in the region, and make a treaty with Israel, and the rest,,, as we say, is History; The Anti Christ, The Magog war, etc..
Interesting… However, have you ever considered the Arab Nations that come together in counsel as told in Psalms 83 is the Arab League of Nations? realitis you dont get the whole picture,Israel will fight the muslims TWICE,or i should say God will.first psalm 83,ezekiel 29,isaiah 17,Israel defeats the inner circle.then later all of the north african muslims,who couldnt help the inner circle muslims will ally with russia and iran to take a sp-oil, and to wipe out Israel.out of the ashes of that esekiel 38 war comes the antichrist,to decieve a terrified world.the church is gone and God deals with the jews and satans attempt to rule the world.you will gain truth if you sincerely ask for it.its all right there in the bible.in fact i'am just a layman in the church,but can explain revelations as easy as reading a manual on changing the brakes on my car.arrogant statement,you seek God first and he will answer the desires of your heart.MY one and only desire is to know HIM and try my best to obey him.you can be a last days scoffer or get into studying Gods word and He will do amazing things in your life. JDT bondservent . Jerry Sweet, I've been reading through the above comments. I will not dissagree or agree altogether but in obediance to word of God, dilagent to pursue unity of Spirit in bonds of peace. However, you have in my opinion maid the wisest of all statements, "ASK THE HOLY SPIRIT (WITH THE RIGHT MOTIVE AND SINCRITY OF HERAT)AND HE WILL SHOW YOU. see Matt.11::27 "My Father has entrusted everything to Me. No one truly knows the Son except the Father, and no one truly knows the Father except the Son and those to whom the Son chooses to reveal Him." v28 "Come to Me…v29,Let Me teach you. My personal prayer, Psa. 143:10 Teach me to do Your will, for You are my God; let Your good Spirit lead me into a level country and into the land of uprightness. I do not wish to discredit anyone contributing to this article but as you so wisely admonish, I will take to the LORD in prayer. For those who are contributing truthes as a result of their own works, our dear LORD will expose then in time so not to fear except for those who will not or do not search the Scriptuers fearfuly and prayerfuly. Last, God is faithful, as He declares in Psa. 91:14 Psa 91:14 The LORD says, "I will rescue those who love Me. I will protect those who trust in My name. Psa 91:15 When they call on Me, I will answer; I will be with them in trouble. I will rescue and honor them. Psa 91:16 I will reward them with a long life and give them My salvation." There are 2 wars in Ezekiel 38 and 39. Sometimes God is talking about the first war at the begining of the Tribulation that Israel will use the weapons from the war for fuel for 7 years. Sometimes God is talking about the war at the end of the Tribulation when every mountain will be leveled. I think Psalm 83 might be referencing the 1st war. The unwalled Israel may be the second war. The war in the mountains may be the 1st war. Since it has been proven through History that every time a blood moon tetrad happens on the Jewish Holidays of Passover and The Feast of Tabernacles that something major is going to happen to Israel. Since on April 15 2014 we saw the first of the four moons appear in the skys over the western Hemisphere this can only mean that sometime in the next 18 to 22 months that the Psalm 83 war is going to break out because when we last had one of these Tetrads' happen in 1967-1968 is when the 6 day war happened that allowed the Jewish nation to reclaim Jerusalem as their capital city as the prophecies foretold. I just have a big feeling sometime soon we are going to see something big involving bible prophecy take place. Israel the land is not what the bible speaks of. Israel the people is what the bible is talking about and no one on earth has recognized them yet. Then about Israel living in peace without any walls etc etc, – We need to go to Daniel’s 70 weeks prophecy where it refers to the rise of the anti-Christ, the son of predition, who would confirm ( remember it is not establishing, but confirming what is already there) the covenent with Israel for seven years. This anti-Christ, which would have by then won the confidence of the whole world ( the body of Christ having been raptured out and with the Lord), Israel would fall into the trap thinking its now safe and could drop down its defences. So this covenent which the anti-Christ would confirm could well be what is being mooted now ( initiated by the US) by Jerad Khusner ( the special advisor to president Trump of the US), which, it seems has the blessings of almost all nations sorrounding Israel ( including Israel), except the Palestinians. However, they would go ahead with or without the consent of the Palestinians. This could well be the covenent/agreement Daniel’s prophecy speaks about. This is yet to come to pass, but from the event in the middle east shows that things are afoot. So, it looks very likely that Ezekiel 38 & 39 are to be fulfilled very soon while Psalms 83 came to pass some decades ago.